Timetric’s Insurance Analyst, Prasoon Singh, explains what influences the growth of microinsurance in the market and identifies the main challenges that this industry is facing. Insurers have been successful in demonstrating the business case for microinsurance and consequently, corporate social responsibility is no longer the sole reason to participate in the microinsurance market. The opportunity to enter fresh markets, as well as increasing profitability and brand recognition have become new motivating factors for companies to enter the microinsurance industry, attracting a range of investors from multilateral institutions to private equity. A good example is LeapFrog; one of the largest dedicated microinsurance funds in the world with investors such as: JP Morgan, Clinton Global Initiative, KfW Development Bank and Triodos Bank. LeapFrog focuses on the Asian and African microinsurance industry, investing in microinsurers such as – Apollo (Kenya), Express Life (Ghana), Shriram (India) and SMK (Thailand). Timetric’s new report finds that innovation in the distribution channels and increasing use of technology are the two most important factors driving the growth and expansion of microinsurance industry globally. 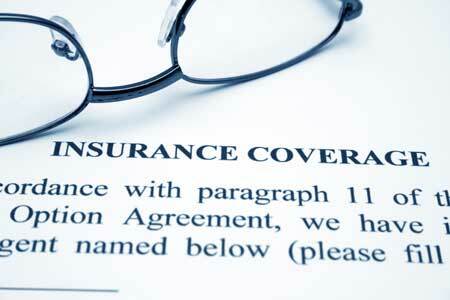 With low premium levels and high expenses, the margins in microinsurance are lower than in traditional insurance. Therefore, microinsurers are required to adopt innovative distribution channels to control operating costs. For example, Bajaj Allianz adopted a model to include NGOs, MFIs, rural banks, cooperative societies and business correspondents in its distribution channel that offered a life savings microinsurance product “Sarve Shakti Suraksha” in India. As a result, 7 million lives were covered, collecting new gross written premiums of US$130.6 million during 2008–2013. The increasing use of mobile technology such as hand-held medical devices, digital pens and smartphones are enabling microinsurers to expand their reach in a cost-effective way. Iffco-Tokio provides a digital pen to agents working in remote areas to collect clients’ insurance policy details. Microinsurers are also using technology to increase operational efficiency. The Brazilian insurer MapfreSeguros, uses advanced IT systems to monitor sales of microinsurance products in real time. However, the low level of insurance awareness amongst the target population remains the key challenge for this market. The low-income population does not see insurance as a risk-management tool, due to a lack of understanding and faith in insurance. They instead choose alternative methods of self-protection, such as informal risk-sharing agreements, borrowing at excessive rates and the liquidation of agricultural assets to access funds. Despite these challenges, companies with a long-term perspective and a desire to grow in emerging markets can use microinsurance as a strategy to build insurance awareness and enhance their brand. Allianz says it sees potential in eventually turning its microinsurance consumers into purchasers of more conventional insurance products. Participating in the development of microinsurance will provide firms with an early-mover advantage and an opportunity to learn the dynamics of microinsurance business. This will enable insurers to diversify and create new cross-selling opportunities in their markets.